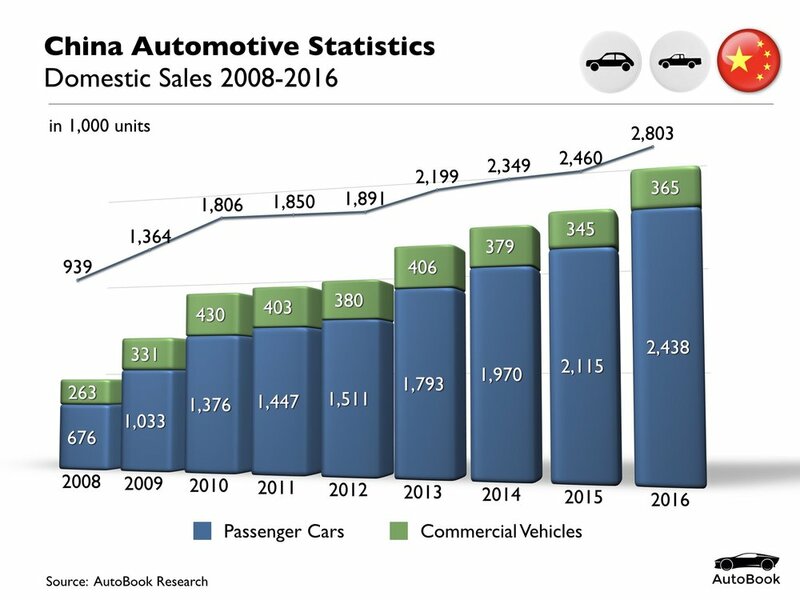 China is the world’s largest automobile market, both in terms of production and consumption. In 2015, the country produced approximately 24.5 million units and sold around 24.6 million units domestically. If you like to receive these and/or other automotive statistics, please click here to select our Automotive Statistics "Standard Sets". Click On Any Of The Charts Below For Full Size View.